Both conventional medications and natural remedies are effective for treating arthritis. Discussed below are the most important treatment options in both groups. Arthritis is a degenerative joint disorder and there is no cure for it. However, it is possible to slow the progression of the disease and even reverse some of the damage done. There are a number of treatment options for arthritis patients. The most appropriate treatment to take will depend on the stage of the arthritis and the level of pain and inflammation each patient experiences. Generally, doctors advise physical therapy, lifestyle change and mild painkillers for mild to moderate arthritis. Physical therapy can help strengthen the muscles again and restore flexibility to the joints so that patients can gain some improvement in mobility and range of movement. Lifestyle changes involve exercise and weight loss therapy. These are meant to help patients shed some weight to remove considerable load from bearing constantly on the joints. Exercise also improves cardiovascular functioning and prevents the contribution of other disease conditions to the symptoms of the patient’s arthritis. For patients with extensively damaged cartilage and weakened bones, orthopedic bracing may be recommended to take and redistribute some of the body weight away from the affected limb. Where the joint has been damaged beyond support and rehabilitation, joint replacement surgeries may be recommended. In spite of all these interventions, drugs and natural remedies remain the mainstay of arthritis treatment. There are 4 classes of conventional drugs that doctors commonly prescribe for the treatment of arthritis. These drugs work differently; they are effective for different sets of arthritis symptoms; and they have varying degrees of success. Non-steroidal anti-inflammatory drugs are usually the first medications used in the treatment of arthritis. They are painkillers that also have anti-inflammatory properties. Therefore, they are perfectly suited for treating arthritis since they can relive joint pain while reducing the swelling at the joints. Classic examples of NSAIDs are aspirin and ibuprofen. They are usually the first drugs given to arthritis patients especially when the diagnosis is mild arthritis. All NSAIDs increase the risk of stomach ulcers and gastric bleeding. NSAIDs can also be combined with caffeine to reduce their doses and side effects while preserving their analgesic effects. When joint pain and inflammation get noticeably severe as to impede movement, stronger and more selective NSAIDs are used. 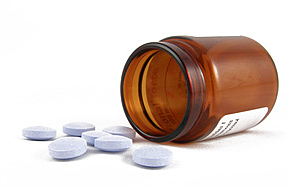 The 2 most common NSAIDs prescribed for arthritis patients are meloxicam and celecoxib. Meloxicam is the rated as the 7th most commonly prescribed arthritis drug in the US. It was approved by the FDA for treating osteoarthritis and rheumatoid arthritis in 2000 under the brand name Mobic. Meloxicam relieves joint pain, stiffness and inflammation. Celecoxib is quite a popular drug. This Pfizer drug is sold as Celebrex. It is a COX-2 selective NSAID which produces lesser gastrointestinal ulceration than most of the other NSAIDs. However, it increases the risks of heart diseases. Celecoxib is the 8th on the list of the most commonly prescribed arthritis drug in the US, and it provides benefits similar to those of Meloxicam. Analgesics differ from NSAIDs because they only provide pain relief. However, they are often better painkillers than NSAIDs. Except for acetaminophen, most analgesics used in the treatment of arthritis are opioid drugs. Acetaminophen is used early in the treatment of mild arthritis. It produces modest pain relief for osteoarthritis patients but better analgesics are introduced when joint pain worsens or when arthritis has an inflammatory component. Acetaminophen can also be combined with stronger narcotic analgesics to improve pain relief while reducing the dose of the stronger analgesics. The most important example of this combination is vicodin. 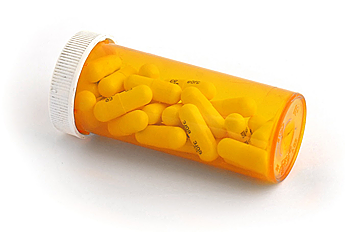 Vicodin is an analgesic combination of hydrocodone and acetaminophen. It is rated as the 5th most commonly prescribed arthritis medication in the US. Hydrocodone is a narcotic analgesic. It produces a better pain relief profile than NSAIDs or acetaminophen. However, it has an addictive potential. Another narcotic painkiller often prescribed for arthritis patients is tramadol. Tramadol is a central acting drug. It binds to opioid receptors in the brain to block the transmission of pain impulses. Its activity is similar to that of opiates like morphine, and like morphine, it has an addictive potential and should not be used for long-term management of chronic joint pain. Corticosteroids are anti-inflammatory drugs. They do not have analgesic properties but are usually effective in reducing the swelling associated with arthritis. Corticosteroids are synthetic steroidal compounds that act like cortisol. Cortisol is naturally produced in the body and secreted from the adrenal gland for relieve inflammation. The most popular member of the corticosteroid drugs is prednisone. Prednisone is the 2nd most common arthritis drug prescribed in the US. It is potent and effective for arthritis inflammation. However, as a steroidal drug it has its side effects. It should not be used for long-term treatment and it should not be suddenly withdrawn. Disease-modifying anti-rheumatic drugs slow down the progression of rheumatoid arthritis instead of simply treating the symptoms. In this way, they may provide a better relief of symptoms. The drugs in this class are unrelated. For example, hydroxychloroquine or Plaquenil is also an antimalarial drug while methotrexate is also used for treating cancer. However, after stopping DMARDs, arthritis symptoms may worsen as the cartilage resumes degenerating. These drugs do have serious side effects. Methotrexate, for example, reduces the availability of folic acid in the body and must be prescribed with folic acid supplements. Herbal extracts and vitamins can also produce great results in the treatment of arthritis. These natural remedies do have an advantage over conventional arthritis medications: they cause far less side effects. In addition, natural remedies are generally safe to use even for long-term treatment. Even though most of these remedies are not extensively researched by the researchers, they are no less effective. Most of the few researches done on their efficacies generally end up being positive. While they may not be regularly prescribed by doctors, natural arthritis remedies are promising complimentary or main treatment options in the management of arthritis. Discussed below are some of the most effective natural arthritis remedies. These 2 natural supplements are the subjects of the popular GAIT study and they are the most commonly used natural remedies in arthritis management. While both of them are sold as dietary supplements in the US, they qualify as arthritis drugs in Europe. Glucosamine is an amino sugar that is naturally found in the bones, marrows and cartilages. Its function is to lubricate the joint. 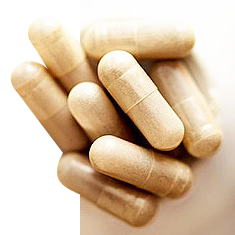 The glucosamine sold in supplements is obtained from the exoskeleton of shellfish. Regular use of glucosamine can slow down the degradation of cartilage, relieve joint pain and improve mobility. Glucosamine is often combined with chondroitin and/or MSM in arthritis supplements. Chondroitin is a sulfated polysaccharide chain that is part of the proteoglycans giving structure to the cartilage. Chondroitin sulfate improves the ability of the cartilage to absorb shock from impact and it inhibits the enzymes breaking down the cartilage. It helps the cartilage rehydrate and can rebuild degraded cartilage. Both glucosamine and chondroitin were the subjects of the flawed GAIT study. Contrary to the widely published conclusions, a closer look at the GAIT results indicated that both of these supplements outperform celecoxib and were the best options in the treatment of moderate to severe osteoarthritis of the knee. Ginger is an ancient remedy for reducing joint pain. In the treatment of arthritis, it is effective for reducing pain and inflammation. It also has an antioxidant property. To prevent inflammation, the active ingredients in ginger specifically inhibit the production of the leukotriene, LTB4, and the prostaglandin, PGE2. Different studies have established the efficacies of two species of ginger (Zingiber officinale and Alpinia galanga) in the reduction of inflammation associated with rheumatoid arthritis and osteoarthritis. 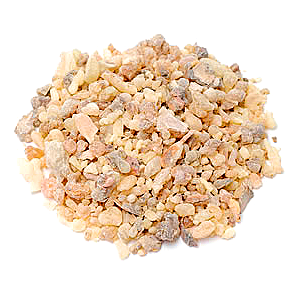 Boswellia refers to the resinous exudate of boswellia trees especially Boswellia serrata. This resin is standardized by its boswellic acid content. The boswellic acids in this herbal extract produce their anti-inflammatory activity by inhibiting the production of LTB4. They also prevent inflammation by stabilizing mast cells and preventing their degranulation. Long-term studies have confirmed that boswellia extract can reduce arthritis pain and inflammation. Its efficacy is compared to that of the NSAIDs even though it produces none of their side effects. Boron is a rare but essential micronutrient. Its importance to human health is only just being established. Boron produces a number of favorable effects in the treatment of arthritis. It prevents the demineralization of the bone and calcium loss while protecting the bone by activating vitamin D and estrogen. Boron deficiency and diets with low boron contents have been associated with increased risk of arthritis. In countries where food is grown in boron-poor soil, the rate of arthritis is usually high. However, communities that get boron from food or water often have a low incidence of arthritis in their populations. Besides slowing down cartilage and bone degradation by stimulating the production of certain hormones, boron also contributes directly to the protection and repair of the cartilage. Calcium is absolutely essential to bone health. It is also actively consumed and lost in the body, so there is a need for constant replenishment. When calcium is used up and its serum levels falls, the body demineralizes the bones by taking more calcium from them. This leads to weakened bones and joints which can accelerate the development of arthritis. Therefore, calcium supplements are needed for those who are calcium-deficient to prevent arthritis. Arthritis patients also need calcium to stop further degradation of the bones and joints and also to re-mineralize the bones. Vitamin D3 is also essential for bone health. It is needed for bones to fully absorb and use calcium. Different studies have established this synergistic relationship between calcium and vitamin D3. In one study, women who took both calcium and vitamin D3 experienced lesser bone loss than those who did not and those who only took calcium. Vitamin D3 has also been shown to increase bone density in osteoporosis patients. While most vitamin D3 supplements supply about 40 IU of the vitamin, studies have shown that the positive benefits of this vitamin kick in when the dose is between 1000 IU and 2000 IU. Therefore, make sure to get high strength vitamin D3 supplements. Large doses of vitamin C do have a positive effect on inflammation. Such megadoses are able to relieve arthritis inflammation and joint pain. These large doses of vitamin C are safe because the vitamin is water-soluble and easily excreted. Besides its anti-inflammatory properties, vitamin C is also required in the production of collagen, the protein that forms the connective tissues holding the cartilage, tendons and ligaments of the joints together. To get the best results out of vitamin C in the treatment of arthritis, most researchers recommend 4,000 mg of the vitamin per day. Lastly, vitamin C also has an antioxidant property that can help protect the cartilage against oxidative damage from harmful free radicals. MSM or methylsulfonylmethane is a safe sulfur source for biochemical processes in the body. A 2006 study demonstrated the effect of MSM in 50 osteoarthritis patients who received 600 mg of the supplement daily. This study showed that MSM was able to reduce joint pain and improve movement in the patients. The efficacy of MSM is credited to its ability to supply the sulfur needed in the formation of connective tissues which are essential for holding the cartilage, ligaments and bones of the joints together. The B vitamins have also been used in the treatment of arthritis. The most effective ones are vitamins B1, B2, B3 and B6. 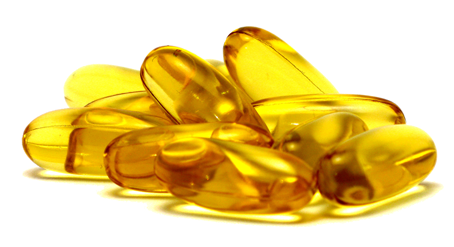 Omega-3 fatty acids (Docosahexaenoic acid or DHA and Eicosapentaenoic acid or EPA) are also useful anti-arthritis supplements. They possess anti-inflammatory properties and are needed for maintaining good health. Regular consumption of fish oil, an excellent source of Omega-3 fatty acids, has been shown to improve joint tenderness and morning stiffness in arthritis patients. There are many oral and topical arthritis supplements in the market with different combinations of the natural remedies discussed above. The topical medications are usually formulated to provide quick and temporary relief for mild arthritis. The oral remedies provide a better spectrum of activity because they slow down the deterioration of the cartilage while reducing inflammation and relieving pain. Of these products, Exomine is a great example of arthritis supplement combining the best natural remedies. This oral arthritis supplement includes boswellia extract, glucosamine, hyaluronic acid, biocell II and MSM. Therefore, it provides multiple points of action to produce the best results. While MSM and glucosamine help rebuild the cartilage and stop further deterioration, boswellia extract reduces inflammation and hyaluronic acid along with biocell II replenishes the lubricants in the joints to improve their movement and reduce stiffness.